A delicate 14ct Vanilla Gold chain boasts an elaborate, sparkling pendant from Le Vians. 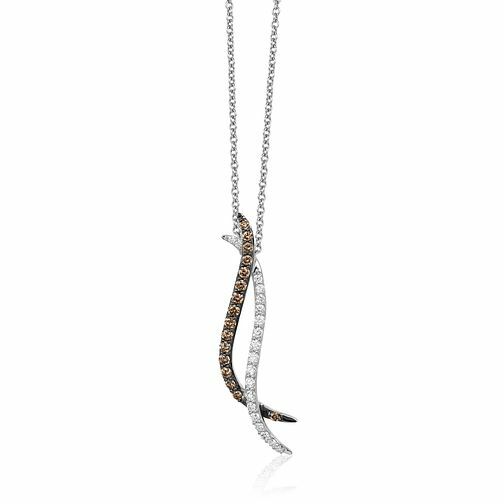 Two twists of Vanilla Gold are set with Chocolate and Vanilla Diamonds. A luxurious combination.